The Fountaine bedding is soft, luxurious and full of custom designer details. 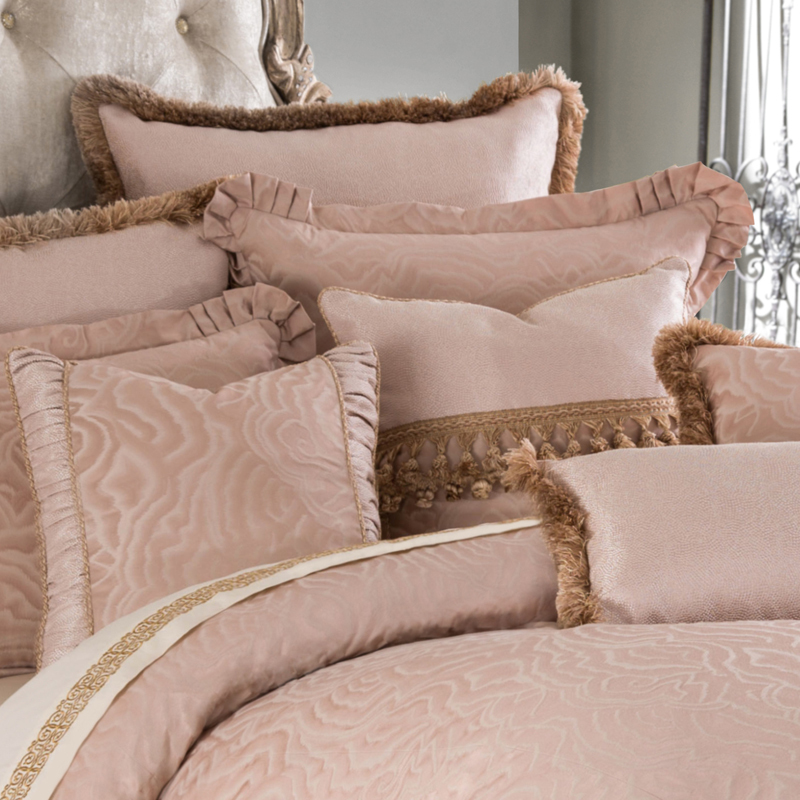 The exquisite Rose Quartz color palette is enhanced with a blend of textures and trims. 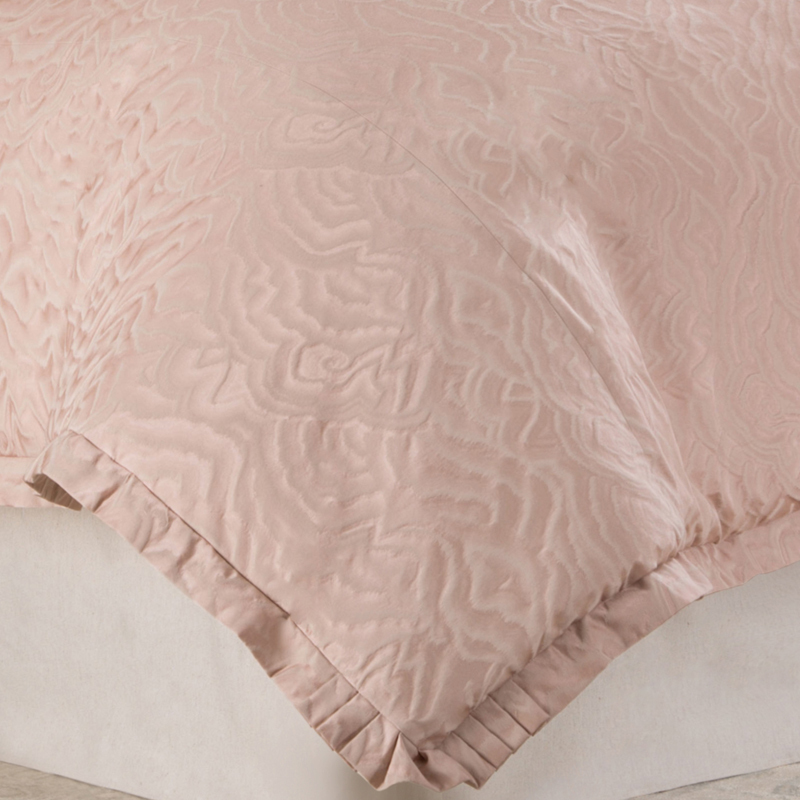 The shimmery movement of the rose quartz patterned fabric is beautifully finished with delicate pleated trim along the edges of the pillow shams and comforter. 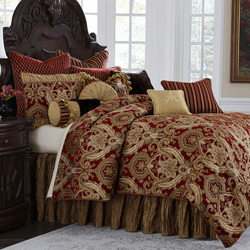 The pillows feature a perfect mix of fringe trim, bullion trim and pieced and gathered pillow designs which bring romance and elegance to this collection. 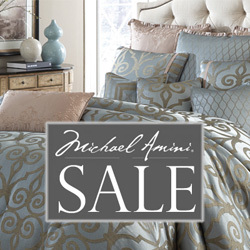 The Fountaine bedding collection is an exclusive Michael Amini Signature Design by AICO designed to correlate to most AICO bedroom sets. 1 x 20 in. Square pillow with gathered edge. • The Michael Amini Fountaine is considered a special order item.